More Jess Confessions. . Wallpaper and background images in the Jess Mariano club tagged: gilmore girls jess mariano milo tumblr confessions. This Jess Mariano fan art contains anime, comic book, manga, and cartoon. There might also be newspaper, paper, magazine, tabloid, and rag. Huh! 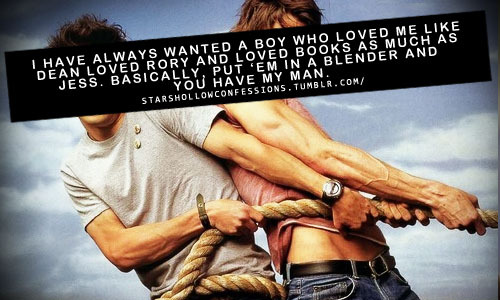 I'll take the way Jess loved Rory over the way Dean did any day. I understand it's a matter of opinion and perspective, but it always seemed to me that Dean loved Rory selfishly, and let that love lead him on a path of self-destruction that didn't mind taking her down with him, whereas Jess loved her unselfishly, altruistically...made himself the better person, and helped her to find the right path in life, even if it meant leaving him behind. Real love.